In 2012, CUAMM initiated a multi-country program called “Mothers and Children first” aimed at improving maternal and child health in four African countries. Five years on, access and quality of MNCH care have improved and CUAMM has launched a new five-year program: “The First 1,000 days” aiming at improving health outcomes of mothers and children not only at the moment of delivery but also during pre and post conception phase. This initiative will contribute to improving access to quality maternal, new-born and childcare and integrating high impact nutritional interventions along the continuum of care. 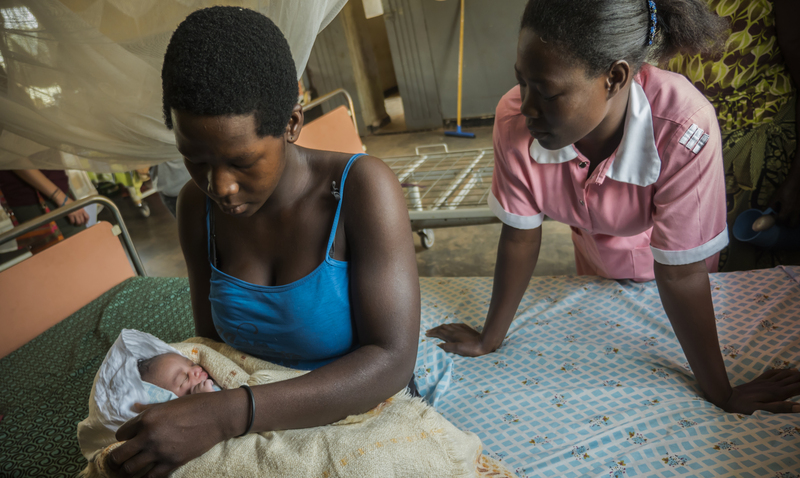 Thanks to the support of the Symphasis Foundation, CUAMM will strengthen its intervention to improve quality and equity of health services for mothers and children in Oyam Distric, Uganda. The project will target Aber Hospital – the main referral facility at district level and the only one with an in-patient unit to provide care for malnutrition complicated cases – and Anyeke Health Center – a crucial referral health center able to provide emergency obstetric care services. Furthermore, Village Health teams will be trained on early identification and timely referral of paediatric emergencies and malnutrition cases. Direct beneficiaries of the intervention will be about 21.180 pregnant women and their new-borns, and about 87.900 children under five. Futhermore, the population of Oyam district (about 439.719 people) will benefit from the overall improvement in quality and accessibility of health care services. This is one step forward to guarantee the right to health to all.